We share our personal experiences with our favorite tech products in depth. Apple products are beautifully designed and function effortlessly. I have owned many of their products over the years, from the early iPod, iPod Shuffle, eMac, iMac, MacBook, iPhone, iPad, iPad Mini and the AppleTV. What I love about the AppleTV is how easy it is to setup and to operate. The functions are intuitive and responsive. From renting or buying movies and shows on iTunes, to streaming entertainment via a plethora of available apps, playing games on the big screen, shopping, museum art screen savers with your own Apple Music list playing, the AppleTV 4th Gen creates a media hub that is multi-functional, centralized and easy to use. It’s wonderful for entertaining during holidays and get togethers. Add to that the Siri voice control via the remote control and you can easily search for content without typing. 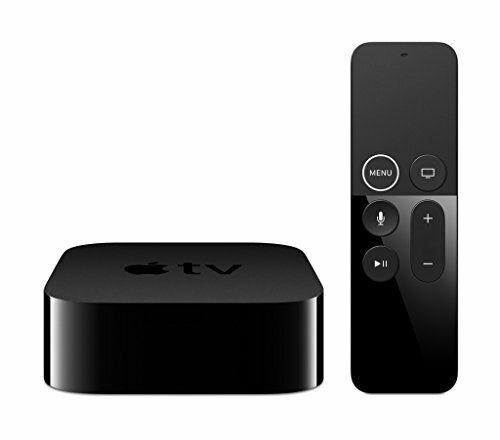 Of course, you can control the AppleTV with your iPod, iPad, iPhone or MacBook device using the integrated casting or screen mirroring functions; it’s instantly recognized when you are on the same Wifi network. So guests can share their content on the big TV screen using their own Apple device. I’m looking forward to adding Apple HomeKit devices which can be controlled remotely and automatically by the AppleTV. One of my favorite home tech products.